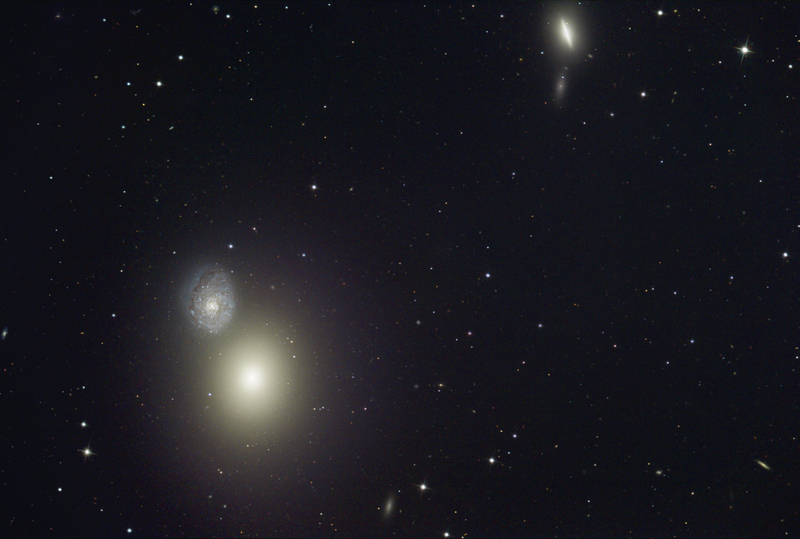 Type E (M60) and SBc (NGC 4647), distance ~ 16Mpc/54MLy (M60) and 19Mpc/63MLy (NGC 4647). The two smaller galaxies on the upper edge of the image are NGC 4637 (the dimmer one) and NGC 4638. Die beiden kleineren Galaxien am oberen Bildrand sind NGC 4637 (die dunklere) und NGC 4638.